Operational performance metrics are much more important in the management of real estate limited partnerships than was the case in the past, as pointed out by Ernst and Young. This is because after the 2008 credit crisis, investors themselves started demanding more information and tighter controls on property management operations. As a result, limited partners are devoting more time and attention to demonstrating to their investors that they have the proper measures in place to monitor their general partners (GPs). This task is further complicated by the fact that the number of joint venture partnerships has increased, making it especially challenging to build a comprehensive picture of portfolio performance that covers multiple general partners and operators. Having a solution like Waypoint’s real estate performance platform can help limited partner asset managers provide insights and answer investor questions about the drivers of performance in the portfolio. GP's update their properties' financial and leasing information into their respective accounting systems. Some use Yardi, others might use MRI or JD Edwards. Once a month, each GP exports their financial reports for each property and emails a PDF file to the LP asset manager. 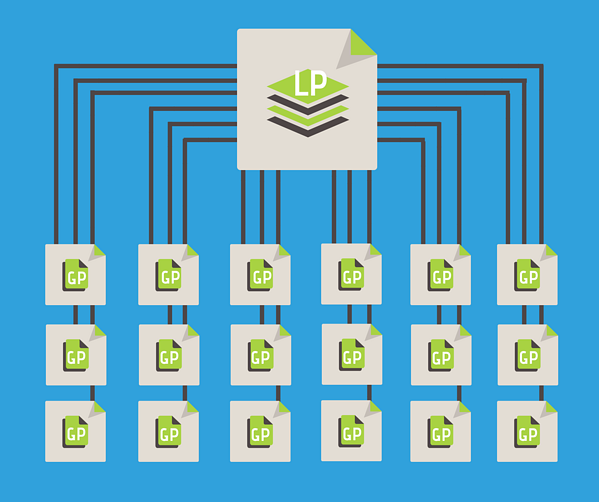 LP asset manager manually inputs the information from the PDF into a spreadsheet. Each GP uses a different chart of accounts, which the LP asset manager must map to one standard chart of accounts in the report. LP asset manager reviews information for completeness and queries GPs as needed. Once the report is complete, the LP asset manager notifies his investor team that the reports are ready for distribution to investors. The investor team uploads a PDF of the report to a secure shared document folder. The investor team relays the investors' questions about property cash flow, variances and leasing activity to the asset managers. The LP asset managers research the questions and query GPs as necessary to provide answers to the investor team. Clearly, the main pain point is in manually consolidating data from all the different GP reports. It is easy to see why it is so challenging to get the results out to investors in a timely manner. Leaving aside the immense potential for error this introduces, such an iterative activity can and should be more automated. Waypoint’s real estate performance platform provides LPs with a centralized platform for monitoring GP performance. By integrating directly with each of your General Partners’ accounting systems, performance data is pulled together in one central hub that gives the Limited Partner a consolidated view of what is happening across all properties in the portfolio. Waypoint maps all General Partner data into one standard chart of accounts, making it easier to compare performance between GP's as well as generate standardized reports for investors. Waypoint even provides benchmark data so that LP’s can compare GP performance to peers within their local markets. The LP can even choose to grant their investors with access to the Waypoint platform so they can view the results on demand and research any discrepancies directly. The LP asset manager can add commentary to the data in the platform to address questions around cash flow, variances, leasing activity, etc. This gives the investors a much better sense of transparency and increases investor confidence. Relying solely on exports from accounting systems leaves the LP with little to no visibility into the operating expenses of their portfolio. Waypoint helps LPs stay on top of the trends in your portfolio, so that you can lower risk for investors and respond more quickly to changing market conditions. 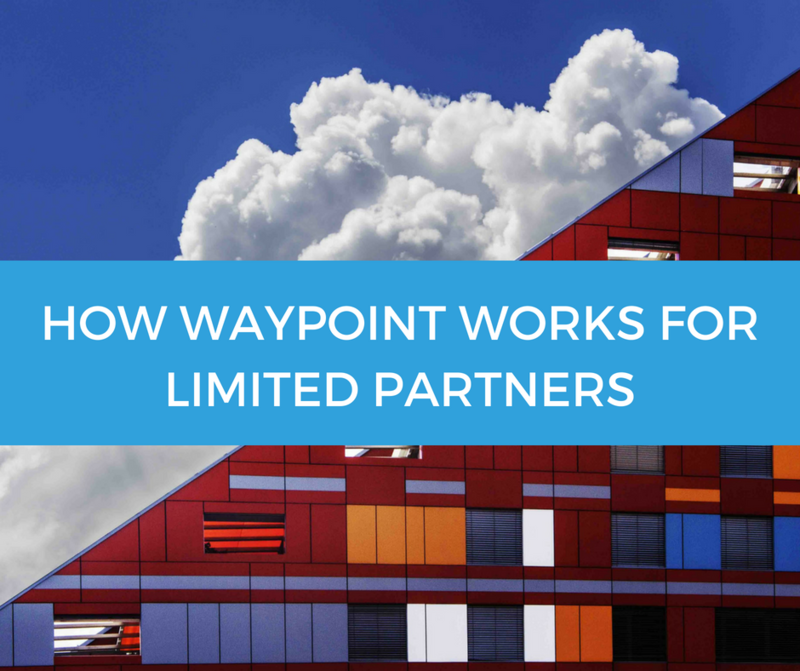 Are you interested in learning more about how Waypoint meets the needs of Limited Partners? Request a demo to learn more.